A “words” is a tool that supports real-time activity and it seems to be amplifying in daily life acceleratingly. On the other hand, “words” should have broad reference points both in the past and future, and also should be the open world that diversifies range of our personal thinking. Let our bodies go with the flow of chaotic everyday life and spend time with “words” to think about our days. The multilayered “bodies and words” - that cannot support even their own weights any more - eventually collapse there, I just dream about that another world will be formed in this plain. 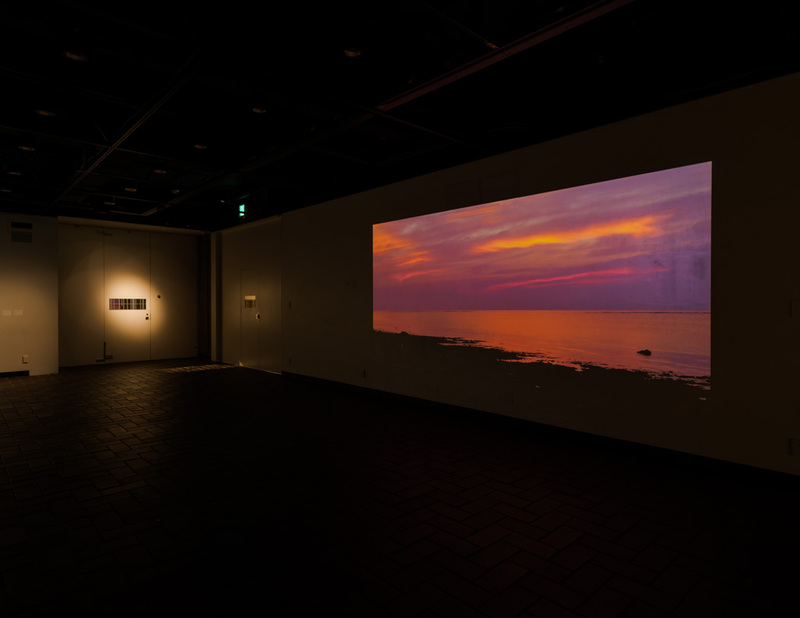 The exhibition Process of the Sea – Words’ Atlas is selected from the Group Show of Contemporary Artists 2017 by the Tokyo Metropolitan Art Museum, a competition which is for introducing artists exploring new directions in contemporary art. In June 2017, we are honoured to be holding our exhibition here with a group of four artists, Hideo Nakane, Seiji Hirata, Junko Ikawa and Naoyo Fukuda. This project has been planned by Hideo Nakane and Seiji Hirata who studied at art college in London in the mid 90’s. In 2009, Nakane and Hirata started an exhibition planning unit called Aesthetic Life in order to evoke a sense of “aesthetic” in our real lives. In 2015, the second major group show “Aesthetic Life -Automatic” was curated, based on a Poetry/ Drawing book created by two British artists, Amikam Toren and Peter Stickland. For the exhibition Process of the Sea – Words’ Atlas, Junko Ikawa and Naoyo Fukuda are to participate with our unit as Aesthetic Life+. In this project, We, the four artists, will draw “Atlas” over the realm of “Words”: encouraging viewers’ multilayered experiences within this context.